Brown Books Publishing Group, 9781612548692, 138pp. These days we have the whole world at our fingertips, so shouldn't happiness be just as readily available? As more people continue to retire they are finding themselves in this strange stage of life that has never been better, but it doesn't feel better. In spite of the fact that they may be doing well financially, in spite of modern technology, the internet, and greater total wealth than at any other time in history, happiness seems to be leveling off, if not declining. Experienced financial planner and consultant Lance Alston introduces his effective approach to discovering your combined emotional and financial needs. 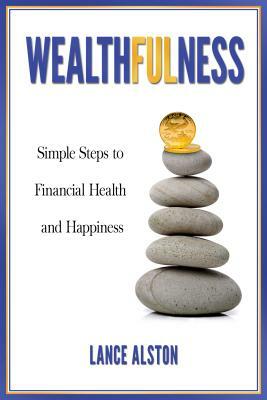 Wealthfulness is the balance of wealth and happiness, the combination of monetary success and meaningfulness. What financial endeavors are the wisest choices for us? How much time should we be spending investing, saving, and planning? How much money do we need to be truly happy in life? The answers to these questions are highly personal, and Alston helps us find each one, and plan accordingly by taking into account our individual personalities and circumstances. Lance Alston is the Founder and President of New Dimensions Wealth Management, LLC. He holds a master's in economics from George Mason University and a Bachelor's from The University of Texas at Austin. As the co-host of a personal finance podcast (2005-2008) he interviewed a wide range of guests from the fields of economics, finance and public policy: best-selling authors; members of the Cabinet, OMB, Federal Reserve and Congress; and a handful of Nobel Laureates in economics. Alston has personally helped more than 500 families create a customized financial plan for their future during his 19-year career. Those experiences have taught him a few important lessons - uncomplicated solutions are usually best, investing costs are very important, and money isn't everything. In his free time he enjoys traveling with his two daughters, Claire and Olivia.